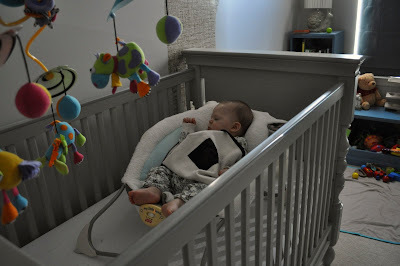 He fell asleep in his crib. It only lasts about 45 minutes and then he stirs and we move him to his swing. But STILL! He's making progress all on his own.